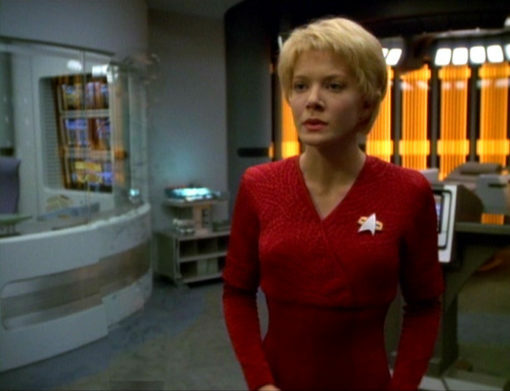 These two outfits are the closest Kes gets to a uniform in design. 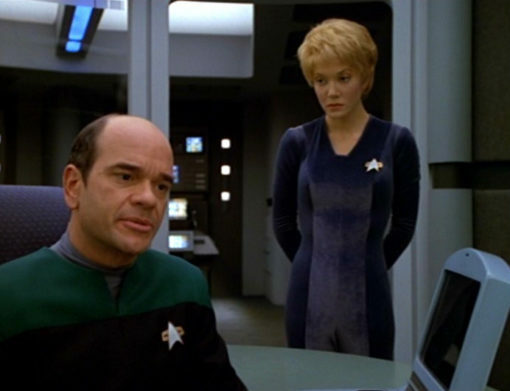 The blue especially shares traits with clothes worn by both Deanna Troi and T’Pol, clothes that are specifically not Starfleet issue but are nonetheless uniforms of a type. 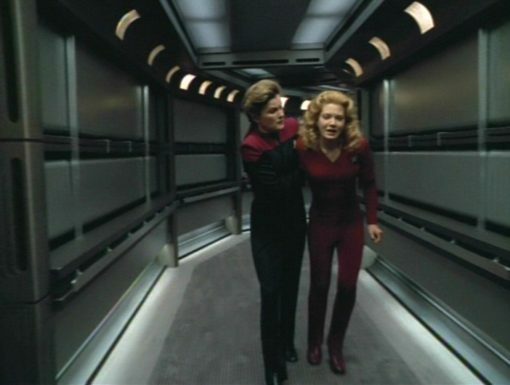 In contrast, these two looks fall outside what Kes normally wears. The blue jumpsuit has her typical color gradient (though it is muted) and the red jumpsuit includes her layered aesthetic and a nod to asymmetry but they are distinct from her usual ‘Tinker Bell’ dresses. I don’t want Kes to dress (or act!) 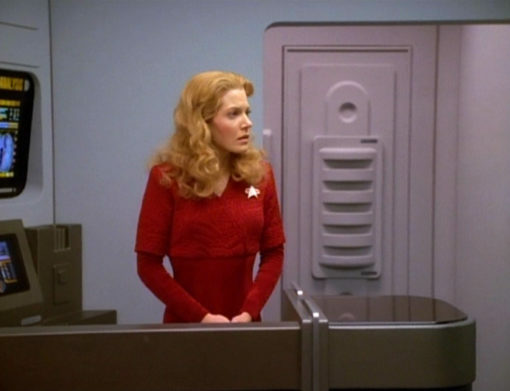 “like Starfleet” (and even these two are hardly that). 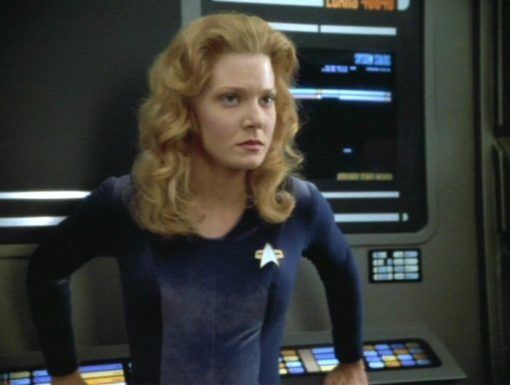 It’s significant that she exists (and chooses to exist) outside of Starfleet. 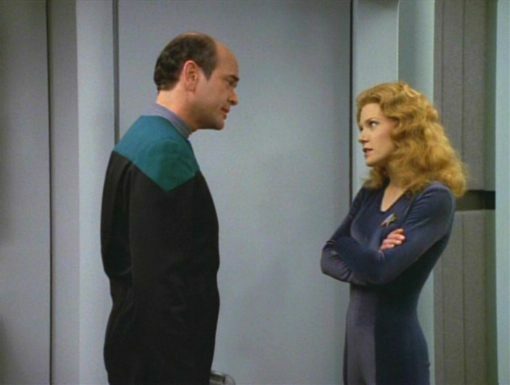 But I do think it’s interesting that Kes and Neelix are adopted into the crew while the Maquis are absorbed into it and Naomi, Seven, and Icheb exist somewhere in between the two – I wish that was explored more and specifically in regards to Kes who is the only one never seen in a Starfleet uniform. Mainly I just want more Kes.